Over in the Eats section we were discussing time saving kitchen tips. Well, my friend Jessica from Life as Mom is kind of an expert on that. She is pretty darn awesome at make-ahead meals and freezer cooking. So awesome that she just wrote a cookbook called Not Your Mother’s Make-Ahead and Freeze Cookbook. Jessica stores whole meals in the freezer for her family making the weeknight get the dinner on the table task totally fast even on the crazy days. She does this thing called Once a Month Cooking. Something that in my wildest dreams I have never even dared attempt. I don’t pretend to know anything about freezer cooking, other than things like freezing shredded chicken, cookie dough, and waffles or pancakes, so I was pretty anxious to take a look at what Jessica had to say about this whole making meals ahead of time thing. I’m running a little low in the time department these days. On soccer practice nights or days I’m battling people about homework I could use all the help I can get. And I think it is time to turn to my freezer for that help! 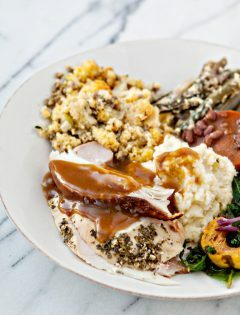 Right now I’m kind of salivating over recipes like Salsa Verde Beef, Tarragon Turkey Burgers with Blue Cheese and Chipotle Mayo, Gingery Pork and Mushroom Lettuce Wraps, Buttered French Toast Casserole with Almonds and Ginger, Caramel-Lime Bars and more! These are definitely not old-fashioned freezer recipes! For a detailed list of contents go here. What do you think? Is that something you might want to learn how to do too? You’re in luck because Jessica’s publisher is giving away a copy to 2 lucky winners. 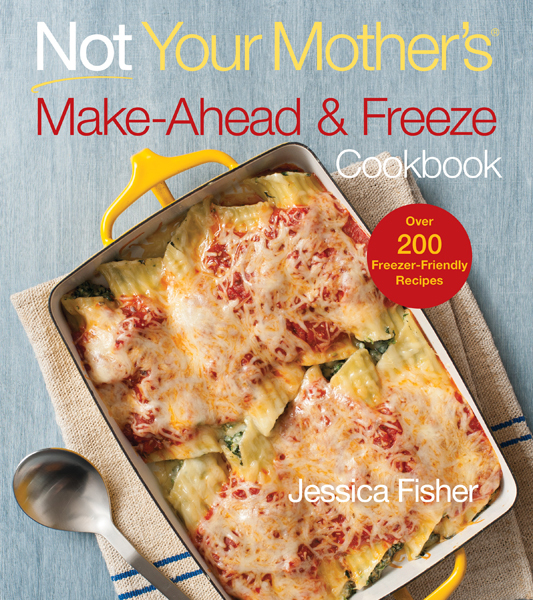 Each winner will receive one copy of Not Your Mother’s Make-Ahead and Freeze Cookbook, by Jessica Fisher. Have you ever tried freezer and make-ahead cooking before? What are you most excited to learn from Jessica’s book? Contest ends November 2, 2012 at 11:59 p.m. PST. Additional entries can be earned by doing any of the following, giving you a total of 4 extra entries. Leave a separate comment for each of your entries. 2. Share this post on Facebook. Come back here and let me know that you did. 3. Like GoodLife Eats and Life as Mom on Facebook. Come back here and let me know that you did (or already do). 4. Share this post on Pinterest. Come back here and let me know that you did. Disclosure: I was provided with a review copy of the book as well as the giveaway prize. The only make ahead meals I’ve attempted are the kind you throw in a crock-pot and forget about. I’ve never tried freezer meals before, so I am excited to read the tips in this book! I follow your blog, because of your it you have help me save time. First thing I put in the freezer was rice. Hopefully I win this book so that I can learn a lot more tricks. I have frozen lasagna before and would like to find some more things that would work for weeknight eating. I tried freezer meals years ago, but the recipes were pretty boring…would love this cookbook as the recipes look amazing and up-to-date! I am getting ready to go from part-time work to full-time and this would be a great help. I love freezer/make ahead cooking. I would love some new recipes though I keep doing the same old things. I’ve not done a lot of freezer cooking…mostly just tucking something away when I make a double batch of lasagna or spaghetti sauce. I need to start though. Life with a 10 year old and all her activities, combined with care taking for my father, leaves evening meals rather haphazard some evenings. I’m due with our second child in January, and stocking the freezer has been on my list of things to do! A cookbook with this many recipes and tips would be a big help! I shared the post on Pinterest. I have not yet tried freezer meals because I am never really sure where to start. This seems like it could be a great place to start! Currently I freezer cook by making batches of dried beans, chicken broth or freezing CSA veggies. I’ve tried freezer meals before, but it’s usually for stews and crock pot like meals. I’m really excited to learn more diverse recipes from this book. Looks like an amazing resource for creating freezer-ready meals. I’ve never tried it for a few reasons. 1)I don’t have an extra freezer and mine is already packed, so nowhere to put the make-ahead meals. 2)all the recipes I’ve seen for Make-ahead meals are heavy on the casseroles. Not my favorite! Oh, boy, I would love to learn more about this! I always end up with freezer burn on my food and I know there must be a better way to do it. I’ve tried it, but I’m never terribly successful. For example, frozen potatoes are terrible. But it would be great to have a cookbook to kind of hold my hand through the process. I have done chili and lasagna as make ahead freezer meal but I can’t wait to see how all kinds of entrees are done! I have always been intimidated by freezer/cook ahead cooking. This is why Jessica’s book would be perfect for me, to learn! I have just tried freezing soups and broths. Would love to try meal ideas from this cookbook. Thanks. I do crock-pot meals and sometimes intentionally make extra chili and spaghetti sauce to freeze for another meal, but that’s about it. I’d love to learn some new recipes! I think I’m most excited about the vegetarian options for make-ahead meals. I have made lasagne with and without meat and frozen it but the vegetarian version always seems to be soggier. I’m sure there’s a way to correct it but I just stopped trying. I follow both of you on Twitter, but when I try to retweet that message, it’s 19 characters over the 140 character limit! Shoot, I’m sorry! Just come up with your own tweet that includes the link. I’ve never tried it but I’m dying to try batch cooking and freezing! It would be wonderful to be able to just pull meals out of my freezer! I have a 2yo and it’s hard to get dinner on the table quickly when I get home. And some weeks I just don’t have time to meal plan. 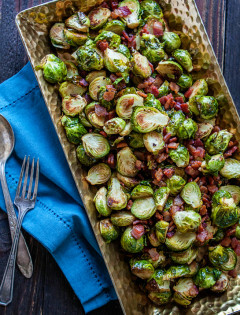 I want to try freezer/make ahead cooking to try to stay on top of the dinner game! I only just started learning to freeze meals, for my brother and his wife, who have a new baby. I definitely need more practice! I now follow Life as Mom on FB! This book looks so Good! Would love to start freezing meals.You make it look so easy! No, I haven’t tried freezer and make ahead cooking before. I’m most excited to learn how she packs in the flavor in every meal. This looks awesome! The only meals we freeze are leftovers from of batches of soup or chili! I have tried freezer cooking before and I am excited about the idea of new recipes! No, I havent tried freezer cooking. I’m most excited to learn how from Jessica’s new book. Thanks! I’ve never frozen meals, but it sounds like something I would like! I’d be excited to check out the recipes in the book. Thanks! I follow Good Life Eats and Life as Mom on Facebook. Thanks! I try to double recipes that I know freeze well so I can have an extra one on hand. I’d be interested in learning proper wrapping/storage techniques to prevent freezer burn. I’ve always been interested in freezing meals… just been a little afraid. I don’t want to go to all the work and then have to throw it away because it was a meal that didn’t freeze very well… Would love to learn freezing tips. I can’t wait to start freezing meals. It’ll make dinner more managable. I like both GoodLife Eats and Life as Mom on Facebook!! I have actually never tried freezer meals before but desperately need to! I am a college student that loves good food but never has much time to actually prepare it except maybe on Sundays so this is just the best idea! Most excited about the breakfast section especially the Spiced Whole Grain Waffles and Oatmeal Chocolate Chip Pancakes!! The only type of freezer meals I have ever made were in soup form, so I think I can learn a LOT! Thanks for the great giveaway! I do some freezer cooking, mostly stocks, beans, breads, and I will sometimes double (or cut in half) what I’m making to freeze half for a later meal. I’ve had good success, but I’d love this book to learn new, good for you recipes that have already been freezer tested! i have tried freeze ahead cooking, with limited success. i had no idea you needed to adapt your recipes in order to freeze them, so that’s what i’m interested to learn from jessica’s book. I have been trying out different meals that I can freeze to be ready when the baby comes. It is our first baby and we don’t have any family nearby that will bring us meals so I want to be prepared with good meals ready to heat up. This book would be perfect!! I’ve done freezer meal cooking before and loved it. I haven’t done much since I had my last baby, but I’d love to have some new recipes. Jessica’s recipe list for the book, sound delicious! I have done freezer meals before, but my repetoire is very small and sad. I’d love this book! I started a little bit of freezer cooking in the last few weeks (I’m nesting), but I’d love to do more and this cookbook looks wonderful! I tried it once just before my second child was born 17 years ago. It was mostly cream-of-? soup based with lots of rice and pasta. We no longer eat that way, so I haven’t wanted to try again. This book, however, looks fabulous. I did freezer cooking in the last weeks of my pregnancies to prepare for baby! Sooo helpful! The only thing I have used and made from the freezer is some stock for my soups! I’m a huge make-ahead meal fan, but boy-oh-boy do I need more recipes and ideas for freezer meals my picky husband will eat! With 200 of them, I’m betting that book will really help me expand my reportoire. I don’t feel like I know much about freezing ahead and have not trained my brain to remember to get it out in time to thaw if there is something in the freezer I have made. I think it would be interesting to see her process and hopefully build my confidence that the food would be good and not taste like a frozen dinner! Follow your blog and Jessica also. What a great giveaway. Due to many reasons for our family it’s often necessary to have some foods cooked ahead and frozen, I will be happy to have a copy of this book, it will so help me with the menus! I make healthy muffins and freeze them for the kids to have a quick breakfast on early school mornings! I also double up enchiladas and shepherd’s pie and freeze one. Would love to try some great freezer meals. Looking for some new ideas! I would especially love a complete meal including sides and dessert that I could make ahead of time that would be suitable for company. I mostly use the crock pot for make ahead cooking and am excited to see recipes for make ahead freezer meals.. anything to make meal cooking during the week a little easier works for me! The only thing I’ve frozen for later is soup so I’d definitely be interested to see what else she whips up and tosses in the freezer for later. I love freezer cooking. But usually you make someone else’s recipes. 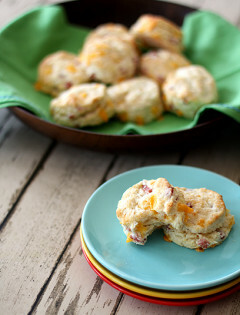 I’d love to learn how to make my own family favorites into freezer recipes. My daughter loves to cook so I am excited to see the section on bulk cooking with kids! I am new to freezer cooking and would love to have Jessica’s expertise during my cooking adventures. Soups, pizza and cookie dough, cooked rice and beans are in the freezer now. Thank for the opportunity. 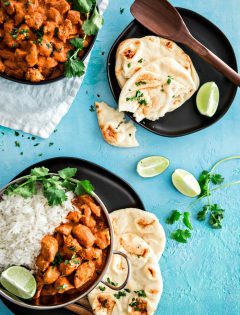 I’ve never tried freezer cooking, but it’s funny..just the other day I was talking with a friend about how freezer cooking would be a wonderful thing to start to save on time in the evenings! I would love to learn how to cook, freeze, then reheat meals!! I am starting to plan all my meals a week ahead and buy the groceries, cuts the grocery bill way down, but to be able to freeze these weeks ahead would be super nice! I can’t wait to see what I can learn! I have tried freezer cooking and love the benefits. Would love more tips and recipes that Jessica and this cookbook looks to offer! Thanks for the chance to win! I have purchased a freezer. Now I need to learn how to use it effectively. This book looks like it is the answer. I would like to try the yummy pasta dish on the book cover. I have tried to freeze a few dishes. I would love to learn from this book- we’re having a baby in the spring so I’ve really had freezer cooking on my mind. I’d love to stock up and get ready now! I’ve never tried freezer or make-ahead cooking but I’m looking forward to trying it. My husband and I have crazy schedules, so I think this would fit in well with our lives! I Like GoodLife Eats and Life as Mom on Facebook. I use the crock-pot frequently and like to prepare freezer meals for our busy season. I would be excited for more freezer-friendly recipes. I try to make freezer meals and I really want to. This books sounds really good. I’ve tried to do freezer cooking, but it often seems I choose recipes that don’t end up freezing very well (or else I don’t pack them right) and so the unfrozen food isn’t too appetizing. So I’d love tips on how to actually do this right! I just started freezer cooking this year and love it, but am not confident enough to do a really big cooking day. This book would help, no doubt! I have never tried to do freezer/make-ahead cooking. However, with my chaotic household, I’ve been thinking that it might make things a bit less chaotic. I wouldn’t really know where to start, but this cookbook has some really nice recipes and ideas to get me started. I have tried freezer cooking before and my boys all complain that the food tastes funny. I’m most excited to get some new taste-tested recipes for my family! I have never done freezer cooking before but would like to try it and this sounds like the book to start with! I pinned, tweeted and liked about the giveaway! This is great! I’ve never done freezer meals before, but I would love to break into it. 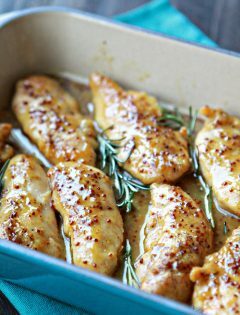 I always see freezer meals/monthly cooking plans pop up on Pinterest, but the foods never seem very appealing to me. 200 recipes sound like I would totally find something, especially if they’re anything like that tasty looking dish on the cover! Wow, I have been researching how to plan freezer cooking, which seems like the hardest part. This cookbook is perfect! I also liked both of your pages on FB. Haven’t tried freezer cooking, mainly due to lack of freezer room. But now that I’m getting a chest freezer, this cookbook would sure be fun! I like Good Life Eats and Life as Mom on FB. I’ve never had any luck with freezing meals, so this book would be very useful. Yes i make freezer safe burritos allll the time ! 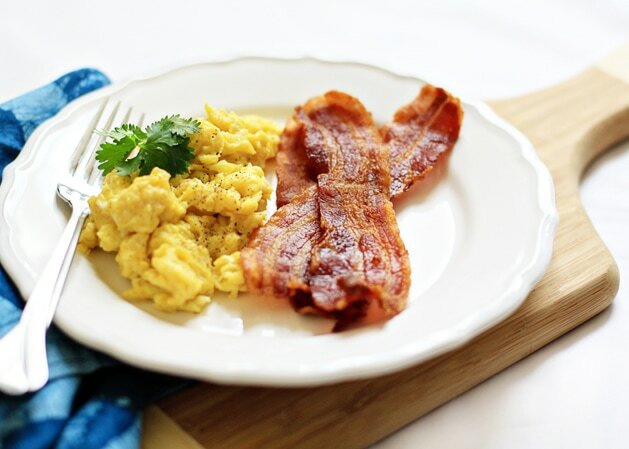 I love the convinence of them and I’d love to get more tips about breakfast freezer ideas! I’ve never tried freezer cooking, but I want to since my husband and I tend to work different hour that make cooking dinner difficult. I like Good Life Eats and Life as Mom on Facebook. I don’t do much freezer cooking other than freezing leftovers in individual containers for when I’m not in the mood or don’t have enough time to cook. I’d love to learn more about freezer cooking! Shared post on pinterest! Sounds amazing…. I have not tried bake ahead freezer food. But, I do freeze cookie dough! I have done some freezer cooking. I like to freeze meals ready to go in the crockpot and make small portions of favorites for the kids like mini meatloaves. I would love to learn some better information about freezing/storing as well as get some new recipes! I’ve only ever done casseroles and lasagnas. I would love to learn how to freeze regular meals besides a casserole type dish. I’m looking for vegetarian recipes. I also hope there is good advice about what does and what doesn’t freeze well. It’s definitely my goal to have several easy meals waiting for me in the freezer. This cookbook would be a great help! The mushroom lettuce wraps sound great! I have been experimenting with freezer meals for quite some time…this book may help me take the dive! The only make-ahead freezer meals I’ve tried are when we have made too much for one dinner and had to freeze the rest. I am excited to learn some new recipes and make some truly make-ahead recipes. Some nights I just don’t want to cook dinner for sure. It would be great to have some make-ahead meals. I follow you both on twitter and tweeted about the giveaway. I have only tried a couple of make-ahead freezer meals, but I am always hesitant too because I don’t want to ruin the integrity of the food. I would love to know meals that are great to freeze and I can pull out for dinner after working a 12 hour shift. I’m always wondering which dishes taste better cooked then frozen or frozen then cooked. Looking forward to learning more from Jessica. 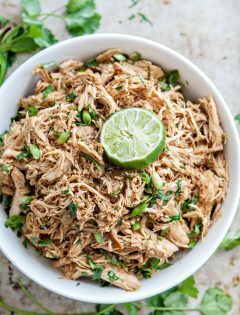 I’ve frozen shredded chicken…and that’s about it in freezer cooking. I would love to try more though! I have done a lot of freezer cooking before, but in the craziness of life at the moment with a new baby I am excited to see some step by step plans with shopping and menus already planned out for me. I am excited to see new ideas and some of the basic steps of freezer cooking. I freeze doubles when I make my normal foods, but I’ve never specifically sat down and made freezer meals. I’d love more tips and recipes! I would like to use the cookbook to learn how to make and freeze breakfast and side dishes-I tend to focus on entrees. I have frozen leftover soups for a emergency meal. Would love to have a cookbook like this for more planning ideas. I don’t usually freeze whole meals, but I’ll cook up lots of chicken at a time and freeze portions of that, and I chop up lots of veggies at once and freeze them in 1/2 cup portions, so when it comes to making dinner, I can just pull them out and dump them. But I wouldn’t mind having some more freezer friendly recipes of more complete meals. I love freezer cooking and also do alot of meal components in the freezer. One of my favorite is to slice french bread, butter it and freeze on a cookie sheet then when frozen put in large ziplock bags. 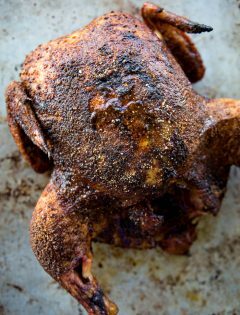 My husband can pull out a piece or two and top with garlic salt, cinnamon and sugar or just toast plain. 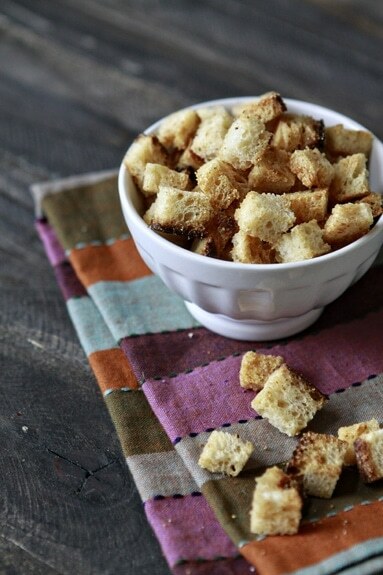 Yummy and no bread crumb mess on the counter or bread going moldy or stale in the bread box. I have frozen a few items to use to prepare a meal, but I would like to learn more about freezing already prepared meals to save time. The only thing I do is make spaghetti sauce but Im excited to do more. I have been following you on FB and just starting to follow life as mom–thanks for the heads didnt realize Jessica was on FB. I also posted on pinterest. Thanks! I’ve only tried to freeze spaghetti sauce and chili. I’m excited to learn more about te hows of freezer cooking. Its been many years since I tried make ahead meals…but my kids are older now, and time for a 2nd try. I freeze double the amount when I make dishes like lasagna for the freezer. I follow life as a mom and goodlife eats on facebook. Yes, I make ahead and freeze things like chicken stock and dry beans. I’d love to win her book and see what main dishes she recommends for freezing. I do this quite often (usually just doubling/tripling meals when I make dinner). Sometimes if I have things that will go bad soon (like leftover lunchmeat) I will make dishes specifically for the freezer that we can eat later but will preserve the food I need to use up. I would love to have more ideas for recipes as we get pretty bored with the stuff I’m doing right now. I do make ahead breakfast burritos and they are great. But I would like to do more, what seems interesting is how to adapt recipes to be freezer friendly and bulk cooking. I don’t do Facebook or Twitter, but I do follow Jessica’s blogs via RSS feed. I mostly cook meals in large quantities and freeze leftovers. I’m trying to get in the mindset of preparing for the freezer from the very beginning, and would love a copy of her book to help me get going. I’m super excited about the cooking plans she includes in the book. I’m definitely a freezer cooking novice, so I need the help! I try to make ahead a lot of things since I only feed myself. I’d love some new ideas! I usually double soups (when I have time, ironically) so that I can freeze half of them. I’m looking forward to seeing how I can modify what I already cook to make them into freezer meals! Thanks! I do some freezer cooking but I would love to have more recipe ideas! I have tried freezing meals for future use. I hope Jessica has some tips on how to be more productive on getting easy meals done. Right now, I cook 2 portions and freeze 1. I have tried freezer cooking and it usually is a miserable failure so I would love to learn from this book. I cook a lot of freezer meals and love knowing there is always something I can pull out of the freezer. I would love some new ideas. I am excited to learn more things to cook ahead and freeze. I would like to win this for my daughter in law who has 4 children 6 years old and under including 2 year old twins. She really needs it! I’ve tried freezer cookng in the past but gave it up because the recipes called for so many processed ingredients. I’m eager to try some Real Food recipes! Would love to try freezer cooking. I have done bits and pieces but would like to be able to get a bunch done. Did this just now, looking forward to this chance to win a new book. okay so I shared this post on my Facebook timeline. Liked these two pages. Can you tell that I really would like this book. Thanks for letting me try. You are amazing. So I pinned this in my food area. Can’t believe another chance to win something I am dying to try out. I’ve never tried “full scale” freezer cooking….I’m most looking forward to finding an organized plan that would enable me to cook LOTS of meals at once, instead of just freezing leftovers. I freeze cookie dough and fruit, but haven’t done much more than that. I guess I want to stop being intimidated by the idea, and find recipes we will like, that freeze easily, and are healthy. My daughter is away at school and getting the inspiration to cook for one has been difficult, so when I do, I go ahead and freeze half for other days when inspiration does not hit. I’d love to give Jessica’s cookbook a try! I’ve tried make ahead and freeze, but my stash of recipes could use some variety. I’m looking forward to seeing the range of foods she has adapted to this method! I have not tried freezer cooking but would like to do so. I am excited to learn what foods freeze well and which do not. I like GoodLife Eats and Life as a Mom on Facebook as Charity L.
I shared pinned this on Pinterest as Charity Lo Giudice. I’ve dabbled it in it. Growing up, my mom did a few sessions of “once a month cooking”. I’ve mostly frozen things I’ve made for my DH’s lunches, like burritos and calzones. I have made a few freezer meals – pizza pocketets and burritos are two that I recently tried, but I am very anxious to learn more. Would love to be a winner! I have a new freezer and this would help me fill it wizely!! I liked your Facebook page. 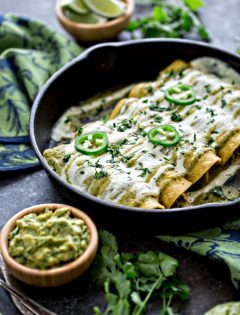 I have made enchilada’s and used them as freezer meals. I love Mexican food. I have never tried freezer meals. I hope I win so I can learn how to do it. I love freezer cooking and love Jessica’s blog. I can’t wait to read her new book! I have only made chicken pot pie as a freezer meal (filling frozen, dry ingredients for biscuit topping in an attached ziplock). That worked quite well, so I would LOVE to learn other recipes that are good for the freezer – it’s a great timesaver! 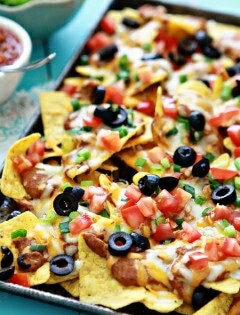 I liked both Goodlife Eats and Life as Mom on Facebook! I’ve frozen lasagne and chili before, but would love to try something different from this book! I liked the sites on facebook! I have tried freezing cooking with some of fish mamas recipes on her site. I would really enjoy the planning tips. i would love to get a few more good recipes in the freezer rotation! I have done several freezer meals, and would be excited for new tips and recipes. I freeze soups, lasagna, and shredded chicken…but as a new mom, I’d love to learn how to make meals that are a little more exciting and then pull them out when we need a fantastic, easy meal. I’ve done some freezer cooking before, but I’d love more recipes. I love to freezer cook so I’m always looking for more ideas! I’ve tried some once a month mom stuff but didn’t like all the recipes, but I love to use my own in freezer cooking! Usually I’m making staples like chicken stock and marinara sauce for the freezer. I would love to win a copy of this book. It sounds like she has some really creative ideas! I follow GLE and Jessica on twitter and tweeted about the giveaway. OMG I live out of my freezer…meaning I travel a lot for work so I cook a ton of food, freeze it and then eat it later. I would love to see new recipes for frozen meals. I feel as if I can get stuck in a rut sometimes with a ton of pasta. I like GLE and Life as Mom on FB. I have three freeze ahead recipes, but I would sure love to try the recipes in this book to expand my repertoire. I haven’t tried freezer cooking before but this book looks like it’s a great way to get started! Thanks for the great giveaway! I freezer cook in large batches whenever I have a baby due for after birth (which is coming up again soon!). But with this being our 7th, and homeschooling 4 littles, as well as running my sewing business…I REALLY need to incorperate it into my busy life more often! Thank you for the chance to win! I really want to try this. It would save so much time. My daughter is in college, and I like prepare as much “heat & eat” food for her and her roommates. I send her back with a cooler full of meals each time she comes home. Need some new ideas!!! I never had done any freezer cooking, but I need to start! I just got a new job, and I’m getting off later and commuting longer. Not having to cook a meal start-to-finish when I get home would be a huge bonus! This book will definitely be a great asset in the kitchen as there never seems to be enough time to put together a good meal during the work week. Also, liked both your FB pages. Before my son was born we did some freezer cooking (some taco meat, shredded chicken, and BBQ pork) and it’s been a lifesaver! I want more ideas for freezer cooking so I can save time during the week. I haven’t done too much freezer cooking, although I do freeze meat. Would like to learn how to do so. I have tried freezer cooking before, and I love having meals ready to go in the freezer. What I don’t love is that so many freezer recipes call for canned soup and other less-than-healthy ingredients. I’m excited to see the whole foods recipes in this book! I have tried freezer meals before, but I would love to try some new recipes! The only item that I make and freeze are lasagnas. I make 3 at a time but I would love to make anything else that would still tasty (like the Ginger Pork and Mushroom Lettuce Wraps). Have done lasagnas and casseroles in the freezer before. Am excited to try that tasty-looking recipe on the cover! I have tried very little make ahead freezer cooking, but I just bought a book on it. I would love to use the updated food that are not my mother’s meals. I have tried freezer meals before with some success and some failures. The biggest problem was I made a large quantity of a new recipe and froze it only to find that no one in the family liked it! Lesson here, try it fresh at least once before stockpiling loads in the freezer! I’ve never tried freezer meals – just putting up extra sauce, etc. so the thing I would be excited about would be to learn what to do. I’d love to learn some good recipes for freezer meals. Since I’m heading back to work after a six month health leave book would be very helpful. I shared on pinterest as Joan Osborne (southerncooker) on my cookbook giveaway board. Definitely excited to try new recipes from this book as I think freezer meals are a great idea. Our family already makes/enjoys freezer meals. No, I’ve never tried freezer cooking. But, in this economy, I’d like to start. This book makes it sound do-able. Thanks! What a great book! I do freeze meals, but I get stuck in the lasagna, mac and cheese rut. I’d love a fresh take. Awesome. I have only done basic recipes before for freeze meals so I am excited to try new recipes and how to adapt your own recipes to freeze ahead meals! I “liked” you on FB, and I already follow Life as Mom. I just started making food ahead to freeze for later. I have made plenty of bone stocks and soups and some baked oatmeal to start. It is so nice to pull out a serving and warm it up for a fast, healthy meal in no time. I’ve tried a few make-ahead freezer meals but I’d love to check out this new cookbook for some more tips and recipes! I do some freezer cooking, but mostly just freezing half a casserole or something, since most recipes make too much for just me & my husband. I’d love to learn tips on how to do more! I have tried making freezer meals before, but I often feel like they end up a little dry when baked. So I would be interested in some great recipes that don’t dry out. My goal is to have a lot of freezer meals on hand when my busy work season starts in February. Usually, I’m limited to shredded chicken and already cooked ground beef. I have never tried freezer make ahead dinners. I am interested in seeing just the basic instructions behind the concept. I’ve loved following Jessica’s blog and am very excited to read her new book! Now that mt children are grown, and all but 1 has moved out, I make the usual amount of chili, casseroles, soups, etc and freeze the rest for another meal. I also make large batches of chicken broth and freeze it for cooking with. My favorite cookbook from 21012 is Barefoot Contessa Foolproof: Recipes You Can Trust. It’s on my Christmas Wish List. I’ve had good success with Ina Garten’s recipes and I love to watch her cooking shows on TV. (I had to shorten your tweet a bit – too many characters to fit).